Sources inside the headquarters of the Greater London Authority (GLA) and the Mayor of London’s offices say the changes have been made in some of the staff areas on the upper floors. 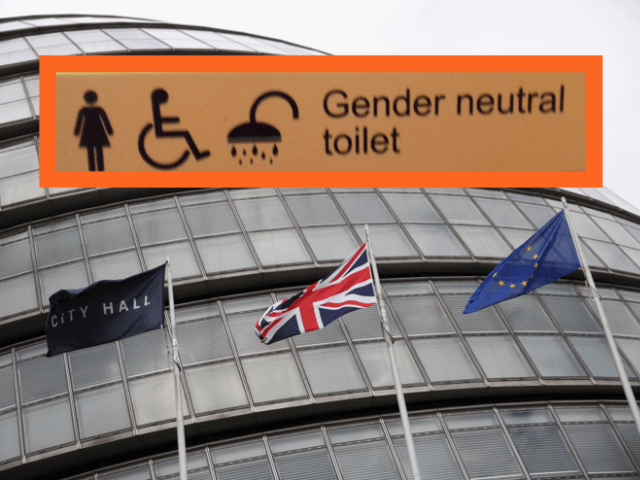 Images passed to Breitbart London show new signs, which are claimed to have appeared this week, reading “Gender Neutral Toilets and Showers.” Some of the men’s toilets, with urinals, are still marked as for men. The shower rooms have always been available to both men and women, but the sign on the door previously showed a man and a woman. 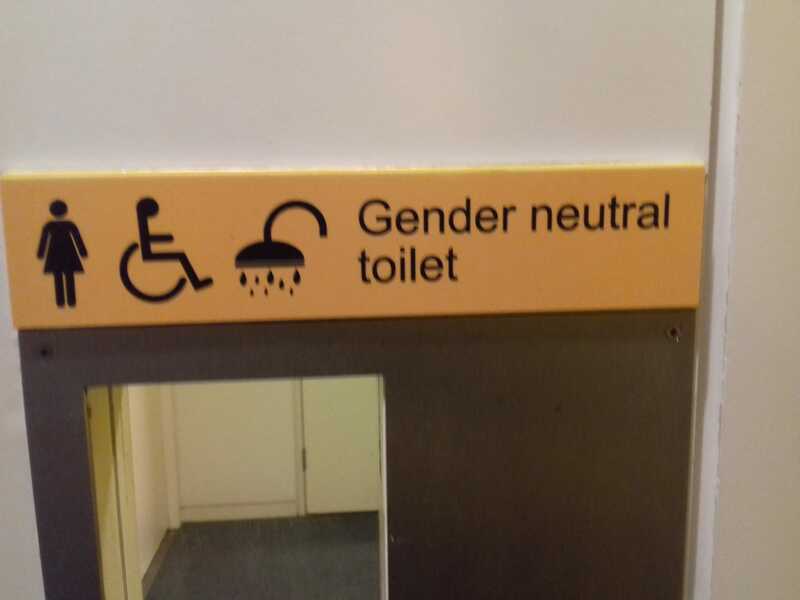 The female toilets were previously marked as for females. “I often have both male and female visitors coming to see me to discuss London issues. Female staff and visitors to London Assembly Members no longer have their own toilet facilities. Labour mayor Mr Khan and City Hall have failed to respond to requests for comment from Breitbart London, and it is not clear at this time who authorised the changes. A City hall statement said “gender-segregated” toilets could make the transgendered and “anyone whose gender expression doesn’t conform with traditional gender roles” to “feel uncomfortable or unwelcome”. Just under 90 per cent of complaints regarding changing room sexual assaults, voyeurism, and harassment are about incidents in mixed-gender facilities and two-thirds of all sexual attacks at leisure centres and public swimming pools take place in mixed-gender changing rooms.